NEW! Angry Birds Go! 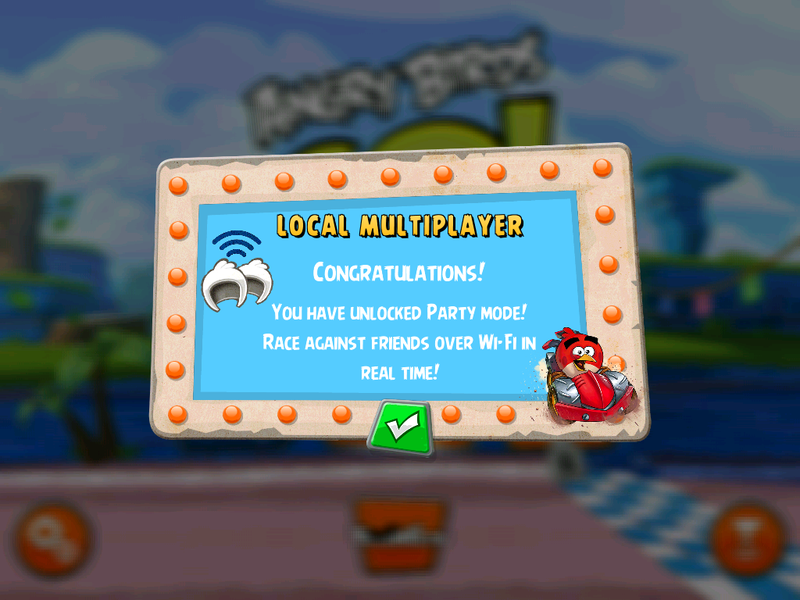 Local Multiplayer in 5 easy steps! Realtime local multiplayer is here! And I’m not gonna lie, it’s pretty birdtastic. I might even go so far as to say it’s… birdmazing. 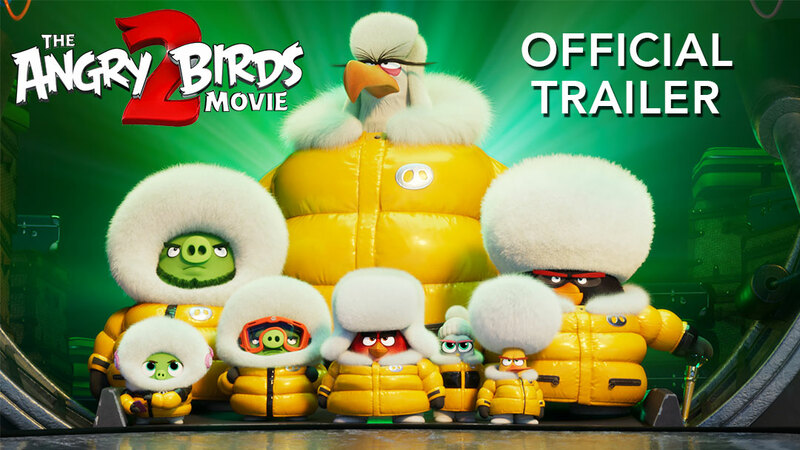 I’m really excited to talk about it, but let’s kick it off with an equally birdmazing trailer first. Eyes, below. Tired of racing all by yourself? Don’t be alone. Play Angry Birds Go! with your friends in real time! I’m here to teach you how to do it. We’ll get you racing with your pals faster than you can get to the finish line in a fully upgraded Big Bang Special Edition kart. Let’s get to it! 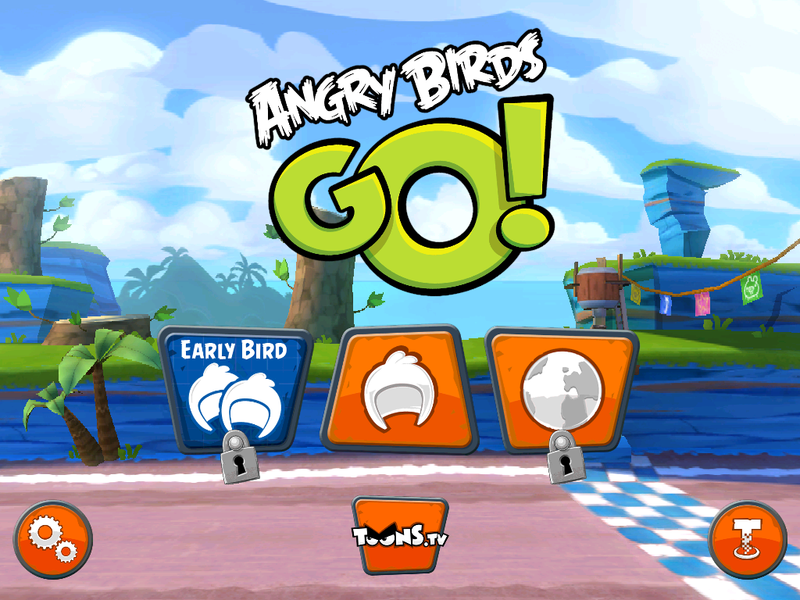 Step 1: Download/Update Angry Birds Go! This one’s easy peasy. Click HERE to download the game on your device. Boom. 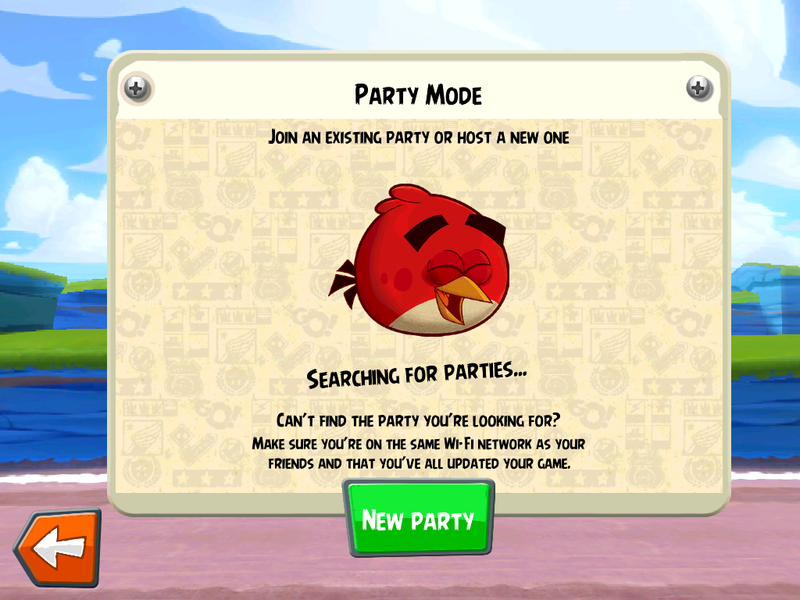 Party Mode is a brand new mode in Angry Birds Go! where all the local multiplayer shenanigans go down. If you’re just starting the game, there are a few extra steps to navigate before you can get your party on. Here’s the deal. If you’re an AB Go! veteran, welcome back! You can skip to step 3. Ok, newbies. It’s not possible to get into Party Mode immediately. You don’t even have a kart! You have to buy your first kart before playing in Party Mode. I know what you’re thinking. “Buy?! Where do I enter my credit card info? TAKE MY MONEY!” Slow down there, moneybags. Let’s learn some basics first before we jump right into the party. 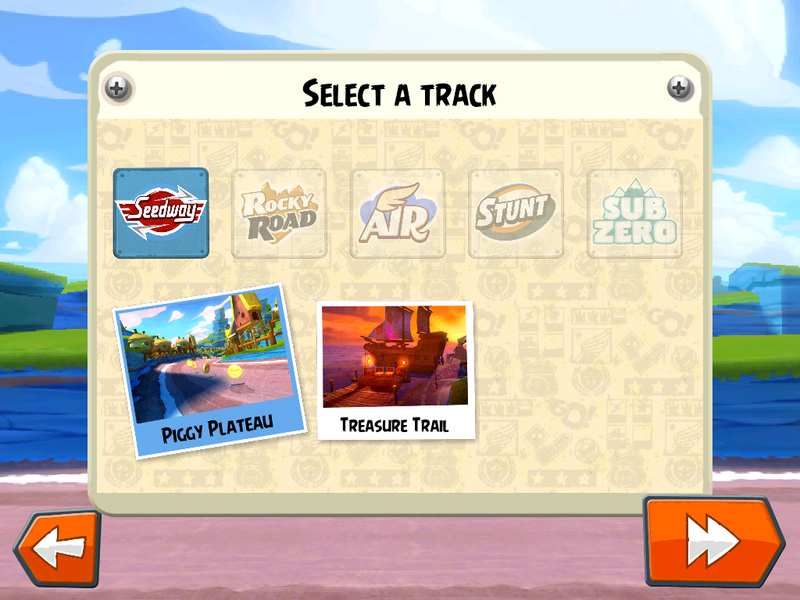 Just tap the helmet icon in the middle of the title screen, and then tap the Seedway track. You can then go through the first tutorial races to get the hang of the controls and whatnot. At the end of the tutorial, you can “buy” your first kart. Just look at the options, compare stats, and select which kart looks best to you. No money needed, the starter karts are all free. Sorry Mr. Moneybags. Got your kart? Good. Congratulations! You just unlocked Party Mode! You’ve been through the tutorials and you have a kart, now we can get into the good stuff. Tap on the “Early Bird” icon back on the title screen to get the party started. After tapping, AB Go! will search for parties already happening on your wifi network. If there are no parties going on at the moment, tap the “New Party” button to start your own. Just look at Red. He’s ready to par-tay! If you are the party starter, you get to choose which track you’d like to race on. Just pick your favorite track from the choices, and tap the arrow in the bottom right. You can unlock more tracks by making progress in the single player challenges. You will want to play through the single player challenges anyway because 1) they’re a lot of fun and 2) you can earn coins that you can use to upgrade your kart. Faster kart = more win. Your opponent must also have unlocked the track you choose so make sure you pick a track that they have access to. If you are joining a party, you will see a list of all available parties after tapping the “Early Bird” button. Tap “Join” next to the party you want to… join (duh), to start racing. We’re continually tinkering under the hood to make AB Go! as fun as it can possibly be so check back to this blog, and to Angry Birds Twitter and Facebook for more info on new features and improvements. Cool? Cool. Now go race! Got Apple TV and iPad, both show Party Mode options, both on same network, neither can find the other. Sigh. And later on design a chromecast host for future games that way i could get rid of all my gaming consoles.